Silicon Valley tech companies, including Google, are being sued by the U.S. Justice Department for conspiring not to recruit from one another. Northern California’s high-tech industry is famous for foosball, free snacks and other friendly methods for holding on to talented workers. But Silicon Valley also has become a hub for less generous retention practices: freezing employees in place and depressing their wages by pushing legal boundaries. Some companies agree not to recruit each other’s employees. Some have new workers sign contracts promising not to job hunt. And some punish workers who quit by suing them, even though California outlaws this type of legal action. For tech workers hired from overseas on short-term visas, the situation can be especially precarious. Many new immigrants don&apos;t know their rights and cannot afford an attorney. Stuck far from home, they are bound by onerous contracts and punished with lawsuits demanding penalties if they leave their jobs, as an investigation published Monday by The Center for Investigative Reporting found. But it’s not just immigrants on specialty visas who live in this ecosystem of fear. “I think there is not enough protections built into the laws for people who find themselves abused as a result of misuse of the laws,” said Laboni Hoq, litigation director of Asian Americans Advancing Justice in Los Angeles. Kishore Kumar is among the Silicon Valley managers who require employees to sign agreements promising not to leave their jobs. He justifies the practice as only fair. In July, Kumar obtained a financial settlement from a former employee and the company that hired her away, based on a contract saying she had to pay a minimum of $10,000 if she left before working 18 months, according to exhibits in Santa Clara County Superior Court. California law says workers cannot be prevented from freely practicing their profession. Companies also are barred from agreeing not to hire other firms’ employees. But these methods are used, including at some of the giant tech firms, according to an ongoing U.S. Justice Department case. Apple Inc., Google Inc., Intel Corp. and other elite firms are being sued by the Justice Department for conspiring not to recruit from one another. Recently filed legal complaints obtained by CIR say the scheme involved a wider net of companies than previously reported. Internet entrepreneur Brad Greenspan is a consultant on two class-action lawsuits alleging that IAC/InterActiveCorp, parent of numerous tech firms including Ask.com and About.com, was among those conspiring to fix wages. Other companies named in court documents include EarthLink Holdings Corp., Virgin Media Inc., Intuit Inc. and Dell Inc. The practice “must have ground down mentally lots of top engineers,” said Greenspan, who has helped found several Internet startups, including MySpace. Virgin Media spokesman Gareth Mead said the company has no anti-hiring agreement with Google. An Intuit spokeswoman noted the company settled litigation stemming from the wage-fixing claims last September, and “we wanted to put it behind us.” A Dell spokesman said the company does not discuss pending litigation. EarthLink did not respond to a request for comment. Ask.com is accused of striking secret agreements that required executives to tip off competitors if they wanted to hire away an employee. Greenspan alleges that those deals at Ask.com and elsewhere effectively locked down senior Silicon Valley engineering talent, suppressing their wages by as much as 20 percent. “It’s shocking and shockingly wrong,” he said. Google and Ask.com did not respond to requests for comment about the class-action lawsuits. Underneath the tech giants is a cottage industry of attorneys and California tech executives who plumb the legal gray areas of restraining workers’ movement, critics say, with a common goal of subverting state law. Naran said he also helps clients craft contract language that includes finders’ fees to be paid by a hiring company if a worker decides to switch firms. Another strategy involves nonsolicitation agreements, in which companies promise not to recruit each other’s employees. These deals may cross legal boundaries. Or they may not. The question hasn’t been fully addressed by the California Supreme Court. “I don’t think there is anything unlawful about saying, ‘You cannot solicit my people,’ ” Naran said. Tech workers nationwide often become stuck in one job despite the demand for their skills, according to Matt Marx, an associate professor at the MIT Sloan School of Management. Marx surveyed more than 1,000 members of the Institute of Electrical and Electronics Engineers and found half had been required to sign noncompete agreements. “That’s a huge number,” Marx said. Many workers had to drop out of their field if they quit a job, he wrote in a 2011 paper published in the American Sociological Review. Such noncompete clauses are illegal in California, but some firms devise workarounds. “What a lot of employers do is they put noncompete language in employment agreements, believing that, by simply putting the language in the document, it will deter somebody,” said Terry Wills, a partner at Sacramento law firm Cook Brown. San Jose labor attorney Robert Nuddleman said workers approach him once a month with complaints that companies abused noncompete clauses. He recalled one case in which a salesman and his new employer spent $100,000 successfully defending the salesman against allegations that he had violated a noncompete agreement. Even though the law makes such clauses null, companies may still “come after you and sue you,” Nuddleman said. In San Francisco Bay Area courts, filings include dozens of tech staffing firms suing employees for quitting. Others sue the companies that hired away their workers, according to lawsuits filed in Santa Clara, San Mateo and Alameda counties. In interviews, some employees told CIR that they agreed to pay private cash settlements rather than hire a lawyer to fight the suits in court, even though the law is on their side. He advocates making it easier to throw out lawsuits aimed at penalizing job hunters. California already provides special protections to defendants sued for exercising free speech. Workers who quit also deserve protection, he said. “The thing is, workers can’t afford to fight back,” Zeltzer said. Employers who suffer the brunt of some of these lawsuits aren’t interested in fighting back, either. One owner who was burned financially now is backing away from hiring workers who have don’t-quit contracts with their current employers. Jay Murugan, CEO of Fremont, California, data analysis firm Dynasoft Synergy Inc., said he paid a cash settlement to Scopus Consulting Group in June after he was sued for hiring away an employee. Naik was to start in January 2012, she said in court filings. But Scopus, a staffing firm, had no work for her. In March, she asked for three months’ back pay. Naik was told to sign a letter falsely stating that she didn’t have to be paid because she was ill and out on leave, court filings said. After months when she alleges she still was not properly paid, Naik left for Dynasoft in November 2012. Scopus sued her for $70,186 in damages. Both Naik and Murugan initially fought the demand, arguing in court that the suit amounted to illegal retaliation. Reached by phone, Naik acknowledged that she’d settled the case but declined to comment further. Murugan and Scopus CEO Kumar confirmed that they had reached a settlement that involved payment to Scopus. Now, Murugan says he plans to turn away potential hires with restrictive employment agreements at their current jobs. This story was edited by Amy Pyle and copy edited by Sheela Kamath and Nikki Frick. Matt Smith can be reached at msmith@cironline.org. Thanks for your interest in republishing this story. As a nonprofit newsroom, we want to share our work freely with as many people as possible. We only ask that you follow a few guidelines. Credit and tag Reveal when sharing the story on social. We’re @reveal on Twitter and you can find us on at facebook/ThisIsReveal. Include this language at the beginning of the story: “This story was produced by Reveal from The Center for Investigative Reporting (link organization name to revealnews.org), a nonprofit news organization. 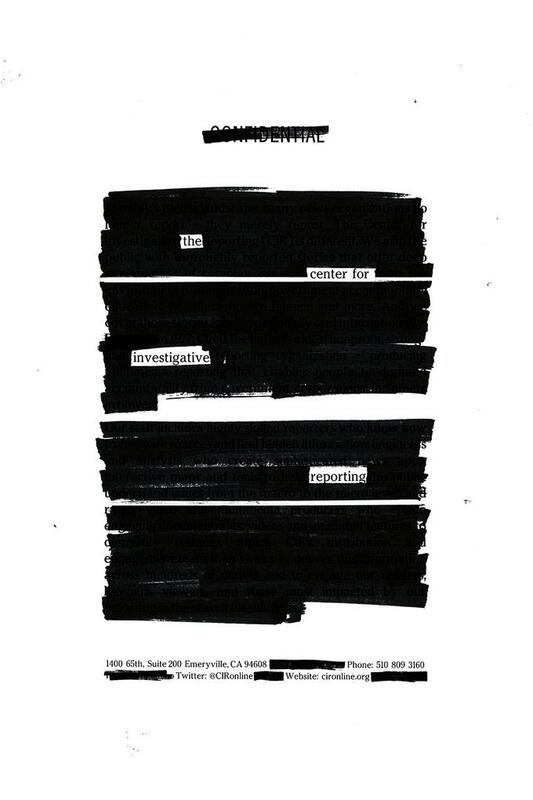 Get their investigations emailed to you directly by signing up at revealnews.org/newsletter. Our reporter(s) must be bylined. We prefer the following format: By Emmanuel Martinez, Reveal. If you plan to republish our content, please notify us at republish@revealnews.org. Include all links from the story. You can republish Reveal photos only if you run them in or alongside the stories with which they originally appeared, include the original caption, and do not change them. If you want to run a photo apart from that story, please request specific permission to license by contacting Senior Digital Producer Sam Ward, sward@revealnews.org. Reveal often uses photos we purchase from The Associated Press; those are not available for republication. If you want to republish Reveal graphics or data, please contact Senior Data Editor Michael Corey, mcorey@revealnews.org. We do not compensate anyone who republishes our work. You also cannot sell our material separately or syndicate it. If you plan to republish our content, you must notify us at republish@revealnews.org. If we send you a request to remove our content from your website, you must agree to do so immediately. FYI, you can grab HTML code for our stories easily. Click on the “Republish this content” link at the bottom of every story. Please do not alter this code. If you wish to only use portions of the work or create a derivative, you need separate permission and the license and indemnification do not apply. This license only applies to republication of full works. Additionally, we will not provide indemnification if you are located or publishing outside the United States, but you may contact us to obtain a license and indemnification on a case-by-case basis. This story was originally published by Reveal from The Center for Investigative Reporting, a nonprofit news organization based in the San Francisco Bay Area. Learn more at revealnews.org and subscribe to the Reveal podcast, produced with PRX, at revealnews.org/podcast. For tech workers hired from overseas on short-term visas, the situation can be especially precarious. Many new immigrants don't know their rights and cannot afford an attorney. Stuck far from home, they are bound by onerous contracts and punished with lawsuits demanding penalties if they leave their jobs, as an investigation published Monday by The Center for Investigative Reporting found.